“10 million tourists in a period of 5 years is quite achievable”. This was declared by Prime Minister Edi Rama during yesterday’s ceremony held on the occasion of the opening of the new holiday season in Orikum. This time, as MP of the constituency of Vlora, he explained that such thing is possible thanks to the real potentials that the country has to offer in the domain of tourism; potentials which have not yet been exploited. According to him, Albania is turning into a real destination and for this reason, there’s a growth in the demands for investments by Albanians and foreigners. “We see an increase in the number of demands to invest in tourism, by Albanian investors and foreign investors”, he said. Meanwhile, Rama also stopped on the projects being implemented in Vlora, which, according to him, will offer a new momentum for the area of tourism. Rama singled out “Ismail Qemali” boulevard, which, according to him will offer the city a new look. “We know that today, Vlora is a construction site. The entire boulevard is undergoing a major reconstruction and I’m convinced that next year, it will enrich the city with the new elements that the project brings. There will also be more green areas than before”, the PM said. The head of the government also mentioned another important project for this area, the airport of Vlora, for which he said that it will be implemented sooner than planned. 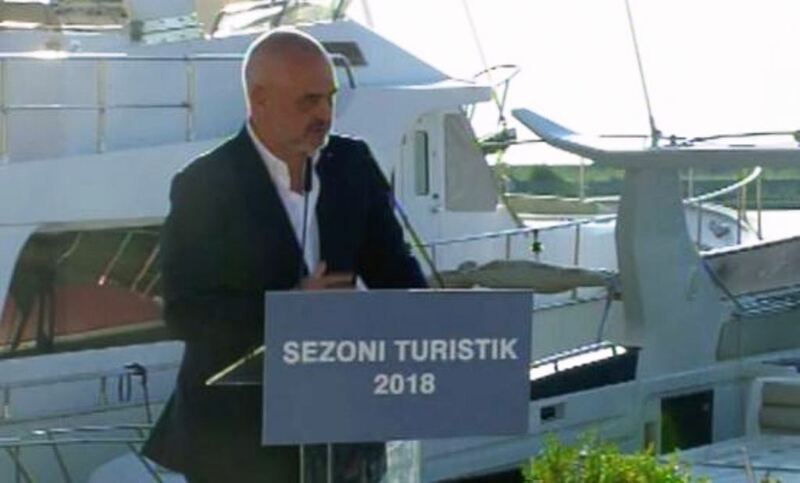 On the other hand, Interior minister, Fatmir Xhafaj, who was present in this ceremony, talked about the measures that will be taken during this holiday season regarding speed boats, but also noisy bars.